Newt Scamander returns this year with a new adventure! Fantastic Beasts: The Crimes of Grindelwald is the second of five all new adventures in J.K. Rowling’s Wizarding World™. 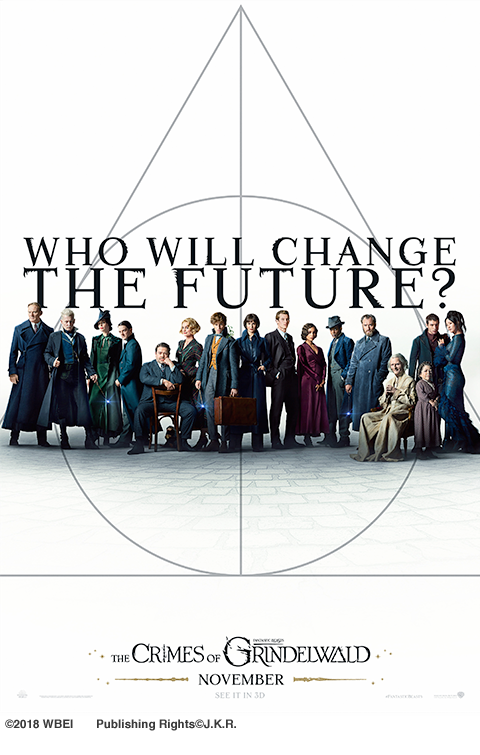 Though at the end of the first film, we leave Grindelwald captured by MACUSA (Magical Congress of the United States of America), he quickly escapes custody and has set about gathering supporters to follow his dark agenda. In an effort to thwart Grindelwald’s plans, Albus Dumbledore enlists his former student Newt Scamander, who agrees to help, unaware of the dangers that lie ahead. Lines are drawn as love and loyalty are tested, even among the truest friends and family, in an increasingly divided Wizarding World. To amplify the launch of the film, Warner Bros. Pictures is creating an art activation campaign leading up to this film’s release, and they want to collaborate with you! 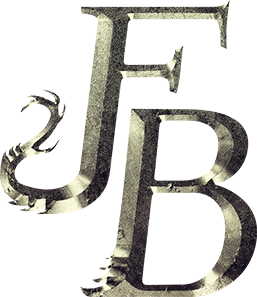 Artists, designers, illustrators and animators from around the world are invited to create one-of-a-kind static or animated artwork for Fantastic Beasts: The Crimes of Grindelwald inspired by the latest imagery and teaser trailer from the film. Artwork will potentially be featured across the film's marketing campaign, including social accounts, print materials and merchandise. Five (5) pieces of art will be selected by Warner Bros. Pictures and the Selected Artists will receive $2,000 for each piece selected. Please note, that during the Submission Period, submissions may be featured on Fantastic Beasts: The Crimes of Grindelwald's (“Motion Picture”) social media channels with credit given to the artist. All submissions must be original artwork (meaning not using third party pre-existing copyright and/or stock materials) except as otherwise provided below and in the Official Rules. Please no photography or video. Artists may depict the likenesses of the characters in the Motion Picture and may include the Motion Picture title treatment logo in their artwork which can be downloaded here. All rights in and to the characters and title treatment logo are reserved by Warner Bros. Pictures and/or J.K. Rowling. Selected Artists (defined in Official Rules) grant Warner Bros. Pictures and its licensees and assigns, a worldwide, exclusive, royalty-free, perpetual license to use their submitted work in connection with the promotion and distribution of the Motion Picture in all media, now known or hereafter devised, including, without limitation, print materials and merchandise. Selected Artists will be required to sign a license agreement as a condition of becoming a Selected Artist. All artists retain ownership in the original portions of their work that do not contain or are not derivative of any Fantastic Beasts: The Crimes of Grindelwald IP (defined in the Official Rules). However, by submitting you hereby grant to Warner Bros. a worldwide, non-exclusive, royalty-free license for three years to use your submitted work across their various digital and social marketing platforms in association with the Motion Picture. All artists will be credited accordingly. Any ownership in the artist’s work is subject to and restricted by Warner Bros. Pictures’ and J.K. Rowling’s underlying rights in the Fantastic Beasts: The Crimes of Grindelwald IP. All entrants, whether Selected Artists or not, may make personal use (e.g. portfolio purposes) of the submissions only if they receive the express written consent from Warner Bros. Pictures; in no event, may an entrant obtain a fee, royalty, advertising revenue, or any other payment in exchange for the submission, other than those Selected Artists who receive an incentive from Talenthouse. Please note: In case of any inconsistencies between the English and translated versions of the Creative Invite page and these Official Rules the English version will take priority.